By default, the Microsoft Azure cores limitation is 20 per subscription. For example, I'd like to start 3 x 8 cores virtual machines. It failed to start the third virtual machine and displayed the following error message on Microsoft Azure. The subscription policy limit for resources type 'cores count' was exceeded. The limit for resource type 'cores count' is 20 per subscription, the current count is 16, and the requested increment is 8. To solve this case, we can request Microsoft Azure to increase cores limitation. 1. 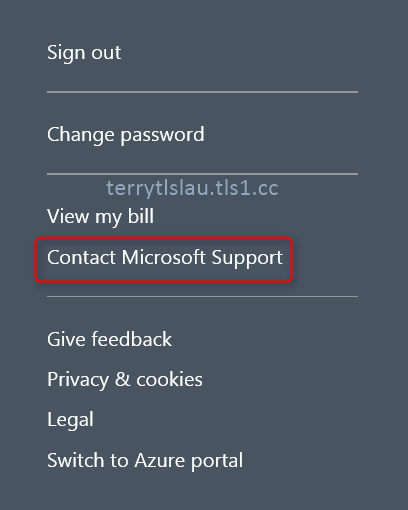 Click your subscription and then select "Contact Microsoft Support". 2. 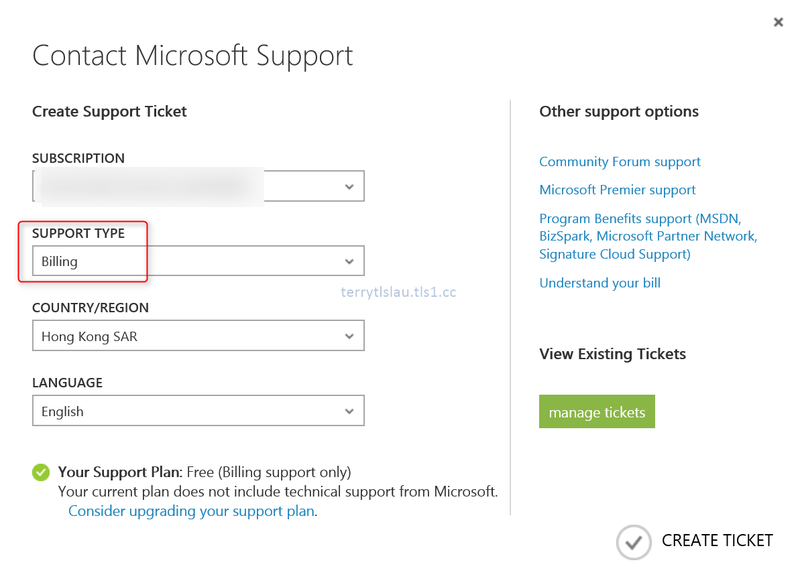 On "Contact Microsoft Support" window, next to "Support Type", select "Billing". 4. 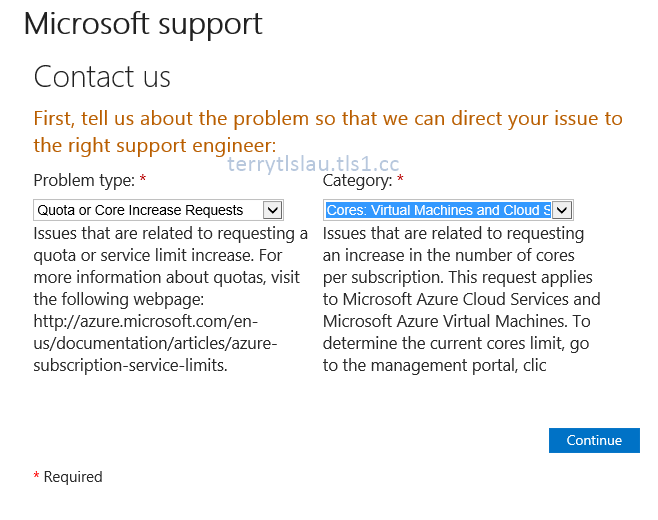 On "Microsoft Support" page, next to "Problem type", select "Quota or Core Increase Requests". 5. Next to "Category", select "Cores: Virtual Machines and Cloud Services". 7. On "Your contact information" page, click "Continue". 8. 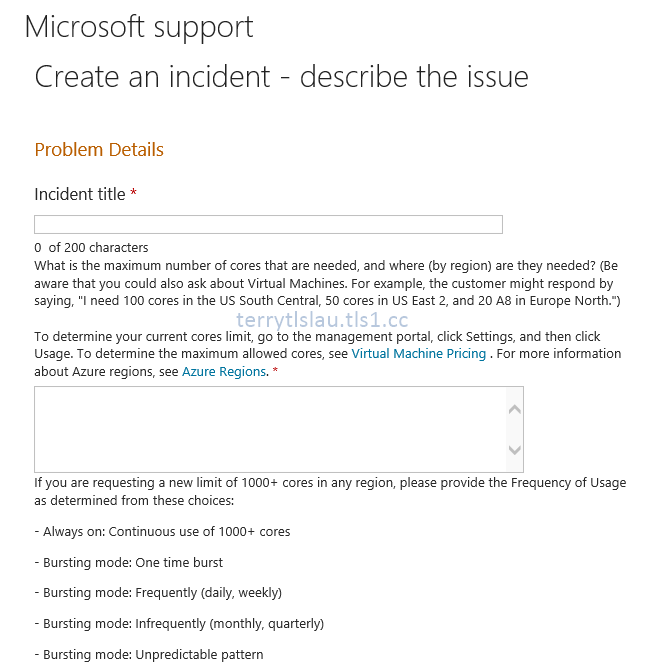 On "Create an incident - describe the issue" page, enter your reason and how many cores you need and then click "Submit". Microsoft will process your request to increase cores limitation of your Microsoft Azure subscription.